As far as any book could be described as a ‘bible’ without causing offence, this is certainly one for all budding rhinologists and is a very worthwhile investment, even in the current age of austerity. I bought the first edition while in training, and it is one of the few books I have gone back to again and again. It does exactly what it says, and focuses on surgical technique – and is all the better for it. If you are looking for updates on pathophysiology or medical management, then this is not the book for you. What you will find is very clear, step-by-step descriptions of surgical techniques, accompanied by high-quality videos covering all major rhinological procedures. A single authorship also leads to a very clear, consistent message throughout the book, which can sometimes be lacking in large textbooks, with multiple authors. Its strength is Wormald’s building block description of frontal sinus anatomy. 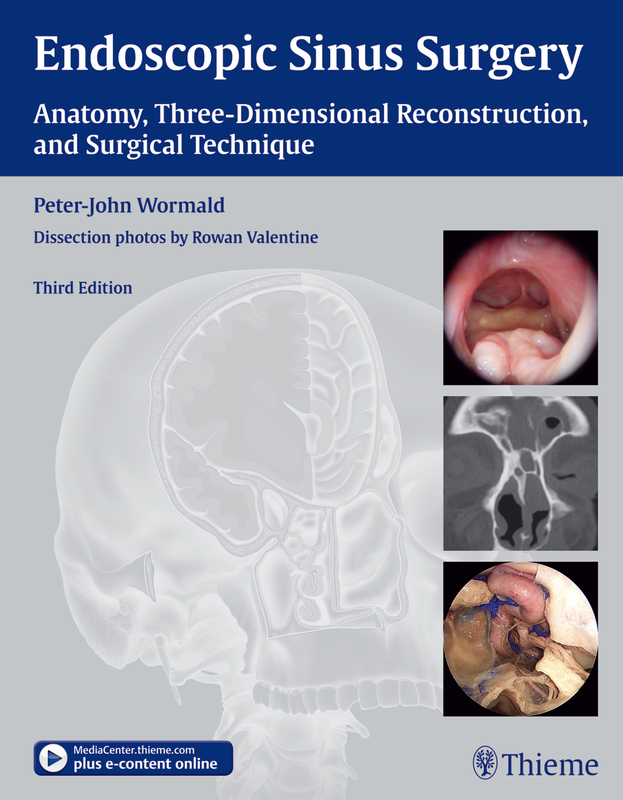 I certainly attribute my own confidence in the frontal sinus to time spent as a registrar, drawing out building blocks before and after each case – there is no better way to get to grips with the three-dimensional anatomy in this challenging area. What has changed from the first to current edition is the development of a software program that allows scans to be imported and the blocks superimposed on this, with a one-year licence included with the purchase of the book. Perhaps it is a generational thing, but I personally do not find the software to be as useful as having to draw out the blocks to cement the images of the scans. However, the ability to combine with intra-operative image guidance certainly allows the concept to be incorporated into the surgical procedure. It is very clever – but perhaps retaining the old-fashioned ‘drawing out the blocks’ concept would also have been worthwhile. My only very slight criticism is that at times the book can feel a little like a surgical catalogue. However, there is a clear financial disclaimer on the first page of the book, and the instruments listed have been developed through many years of experience, in response to the surgical challenges presented in the book. As with any gospel, there are always slightly different versions of the same story, and the techniques presented are not the only ways to successfully manage the sinuses. Furthermore, a textbook is by no means a substitute for supervised training. However, this is a valuable resource to accompany that and I would strongly recommend this to all surgeons operating in the nose.